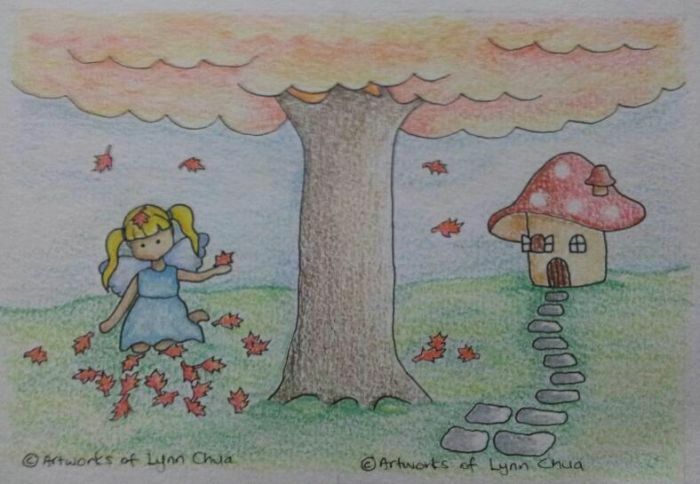 This shows the combined picture made from 2 ACEOs "Fairy Cottage" and "Fairy playing in autumn leaves". Each ACEO is offered separately. Full proceeds go to SketchFest. Sally Gilroy says: Adorable and I like the way you combined the two prompts...thank you for working on them! Hugs Sal	~ Reply? Lynn Chua (Angel Choir) replied to this: Thank you and you're welcome.